Our bodies can't survive without water. 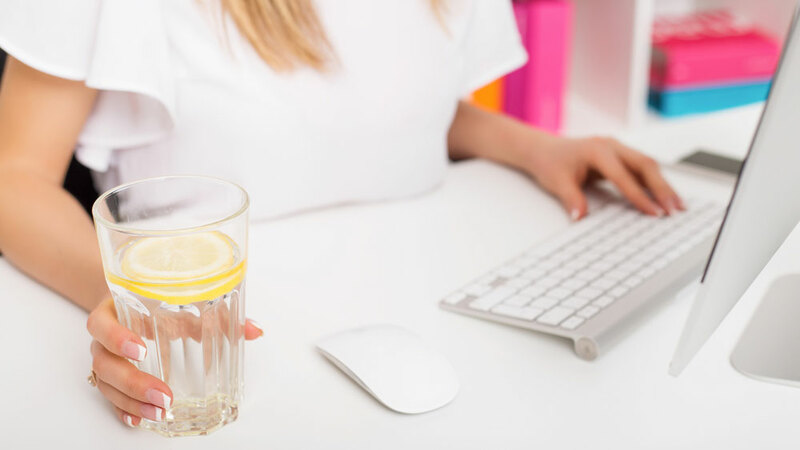 Even mild dehydration can have a serious impact on both our physical and mental well-being. But while we all know that water is our best choice due to it having zero calories and being available free from our taps, consuming the recommended 7 glasses a day can prove a little challenging. Here are some top tips & tricks to help you keep hydrated. 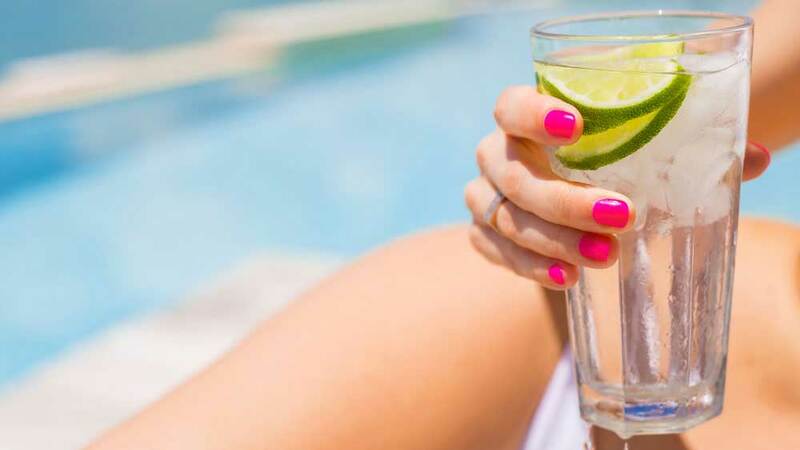 A great way to liven up your glass of water is to add a slice of lemon or lime. Not only does this add a zesty flavour, drinking lemon water has been linked to improved digestion, detoxification and enhanced skin. Alternatively you could try a squeeze of fresh orange to add flavour and boost your Vitamin C. Other fresh fruits to try are apples, blueberries and strawberries, all come with their own health benefits and flavours. Not the relaxation Chill (although in warm weather that often is tempting) but drink your water chilled. Nothing can quench your thirst better than a glass of chilled water. If you don't have access to a water cooler then why not try adding ice cubes and plenty of them. Another great idea is to make flavoured ice cubes by adding some wonderful fruit like strawberries or blueberries to your cubes before freezing or even freeze the fruits themselves and add them directly to your glass. You could even go the whole hog and make your fresh fruit flavoured water into ice lollies. The kids might even want one too! Who said you can't have your water and eat it? A great way to stay hydrated is to eat foods that aid hydration. Foods like Watermelon, Cucumber, Strawberries, Lettuce and Celery all contain over 90% of water. So whether its a crispy cool salad or a refreshing summer cocktail, why not munch away on these to help hydration! Treat yourself to a really nice re-useable bottle or a stunning water glass. Not only are these better for the environment, your water will look far more appealing than in a plastic cup making you more likely to drink. Keeping it close (and full) at all times is also a good trick to drinking more. Either on your desk or in your car you are more likely to keep drinking if it is close by. Some water bottles even come with their own internal infusor so you can add those fresh fruits we talked about above! 0 Comments on "Top Tips & Tricks To Keep Hydrated"